How Can Snow And Ice Affect Your CT Home's Gutters? The winter was hiding but it's here now, are you prepared? Your gutters are important to your home and are vital to keep water on the right path and away from damaging your home. However, if you have broken or clogged gutters, the once helpful tool can become the outlet for damages. This article discusses how snow and ice can affect your CT home's gutters. Snow storms can be damaging in several ways and as the weather gets colder, everything turns to ice. Cleaning out your gutters is an important task but somehow is commonly overlooked by most homeowners. It's important to clean out all the leaves and debris because when the snow starts to fall, clogged gutters can aid in the formation of ice dams and prevent proper drainage when the snow melts. Remember ice is sneaky so cleaning out your gutters before the big snow storm hits will help keep you and your home safe. You want to make sure melting snow will drain as directed and not seeping through the roofs, windows or walls causing damaging leaks and possible mold. 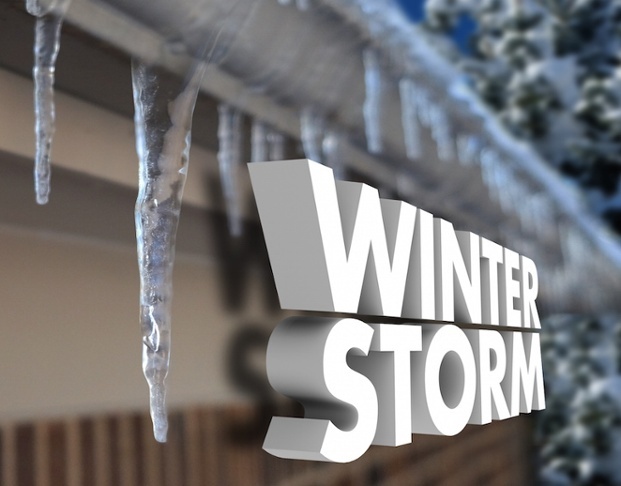 Ice damming is potentially a large threat to your home from snowstorms. The snow creates an insulating blanket, and when combined with heat, the snow left on your roof will begin to melt. The water can then seep under the rest of the snow, keeping it at freezing temperatures, until it hits open air when it reaches your gutters. The water spills over, freezes creating a dam and the process continues until the continued snowmelt has nowhere to go but down into your home. This can create serious water damage to your home's exterior as well as the interior. Clogged drains make it even harder for snowmelt to drain away, speeding up the process of ice damming. If your gutters are filled with ice and your roof cannot drain, the only place for the water to go is into your home. Check your attics and walls for water spots, if you notice that your ct gutters are blocked with ice. If water is dripping inside your home, you can anticipate mold growth and structural damage if the situation is not remedied. You can hire professionals to dehumidify the areas most affected by leaks. Ice dams can damage your roof shingles. Water expands as it freezes, so if water seeps behind your roof shingles, it will exert an upward force on your roof shingles as it freezes. Luckily, insurers do typically cover roof repair that is preceded by ice damming.